Following the ratification of the U.S. Constitution in 1789, the U.S. has had 44 presidencies and has seen 43 people sworn into office as president. [Source] On 6 November 2012, Americans return to the polls to renew their 44th President's contract or elect (God forbid) their 45th president. Elsewhere in my home country, Cameroon, 6 November 2012 marks thirty (30) consecutive years since a politician by the name of Paul Biya was sworn into office as president. 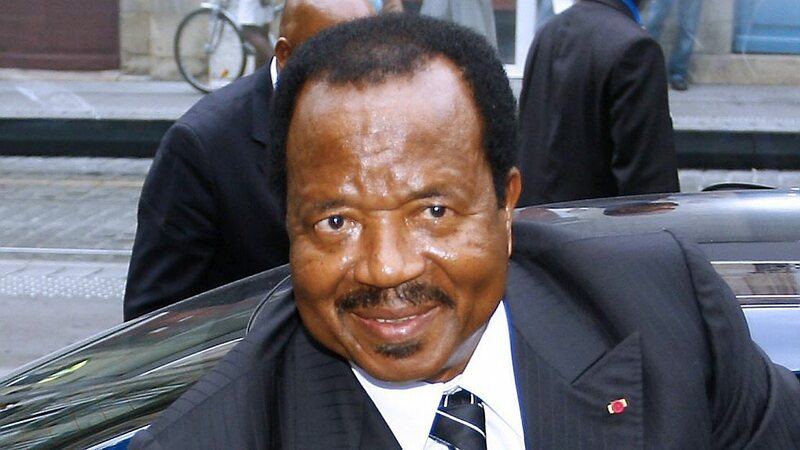 Paul Biya, 79 years old, replaced Cameroon's first president Ahmadou Ahidjo after the latter's resignation in 1982. 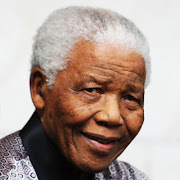 He became the country's second president since independence in 1960 and has been at the helm of government since then. His presidency has been marred by allegations of corruption, electoral fraud, economic stagnation, poverty and gross human rights violations including extrajudicial killings, arbitrary arrests and imprisonment of journalists and authors, and brutal crackdown on peaceful demonstrators, including University student demonstrators. Freedom of speech and expression - the foundation of free democratic countries - are restricted. Intimidation by security forces is rife. The right to good quality education is limited. Dilapidated schools abandoned by the government are a common sight. The regime has failed many of its young school goers. In certain government schools, children have no benches or tables. Good roads are almost non-existent. Health care in nothing to write home about. The list goes on. Allegations of corruption and embezzlement of huge sums of money by government officials are rampant, while many ordinary people live below the poverty line. Police corruption is endemic and happens with impunity in broad day light. At face value, you would think that Cameroon is a lawless state where human rights are unknown, but we do have laws that guarantee respect for human rights. In fact, the Universal Declaration of Human Rights and the African Charter on Human and Peoples' Rights are incorporated in our Constitution. While Americans, disappointed with the pace of change and economic growth under a president elected only four years ago head to the polls with the conviction that their votes count, in Cameroon, the story is different: votes do not necessarily count. We have had one president with a track record of failure for thirty years. He recently won the 2011 presidential election that gave him seven more years in office. If you do the arithmetic - you will realize that Paul Biya will be 86 years old at the end of his current term. Despite his record, there is little expectation that he will relinquish his grip on power after his current term. In 2008, his administration masterminded a controversial Constitutional amendment that eliminated presidential term limits - thereby highlighting the possibility that he could be president for life. The amendment was followed by a "riot" that was brutally suppressed by heavy-handed security forces. Demonstrators were killed and critics like a popular musician called Lapiro de Mbanga were arrested, persecuted and imprisoned. I am ashamed to say that I have known only one president throughout my adult life. Many Cameroonians my age share my frustration and we long for the day when change will come to Cameroon. Many people have asked me why we have allowed one man to take us hostage for thirty years. Many wonder why we have not [violently] demanded regime change. Some think we do not care about the wrong direction in which our country is headed. The truth is --- we do care. The motto of our republic is PEACE - WORK - FATHERLAND. We are a peace-loving people. This partly explains why Cameroon is a beacon of peace and stability in a turbulent region marked by coups d'état and civil wars. Cameroon hosts refugees from neighboring countries like Central African Republic and Chad. [Source] We have lost fellow countrymen in demonstrations against the regime and the impact of civil unrest around the world is there for all to see. We know what instability looks like and we do not want to go down that road. At 79 years old and counting, Paul Biya can not be on the "throne" for another 30 years. We have survived thirty years of human rights violations and failed socio-economic policies. We are unhappy with the state of affairs in our country, but we refuse to push our country into instability because of one man. Cameroon is bigger that one man. 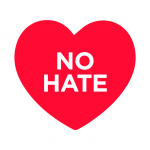 By virtue of our motto --- we love peace; we love our Fatherland and we will non-violently work our way out of this political hostage situation. It might take some time, but the country will soon rise from the rubble. Cameroon is bigger that one man. President Paul Biya - the giant of Etoudi - has gone down in history as one of the longest serving Heads of States. However, when it is all said and done, history will judge him as a failure; a leader who failed his people for three decades. History will frown on him and on the few people in the so-called "équipe nationale" who benefit from the spoils of his administration to the detriment of the majority. His supporters say one of his achievements is peace and stability that Cameroon enjoys. But make no mistake: Cameroon is peaceful not because of its leader. Credit goes to the peace-loving Cameroonian people who have been pushed to the wall in unimaginable ways but reject a violent uprising. We the people of Cameroon deserve a Nobel prize for peace for our handling of the situation in our homeland.